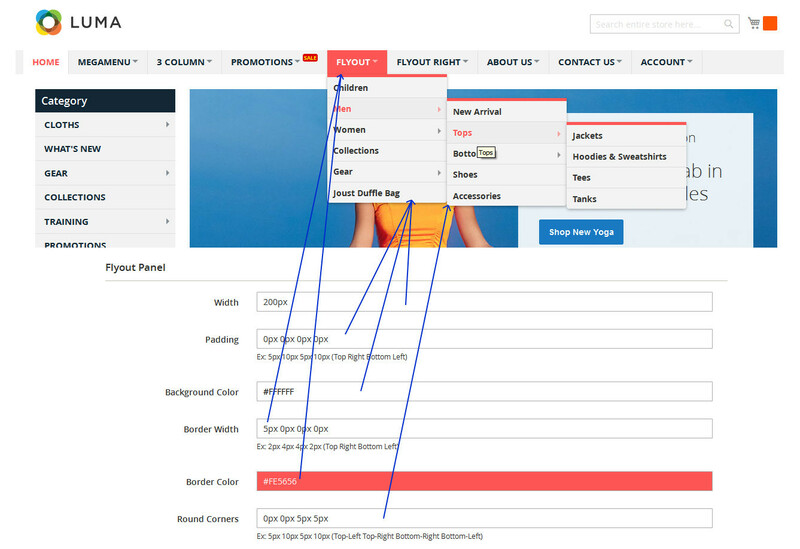 Supports fly-out (traditional) or Mega Menu submenu styles with horizontal and vertical option. 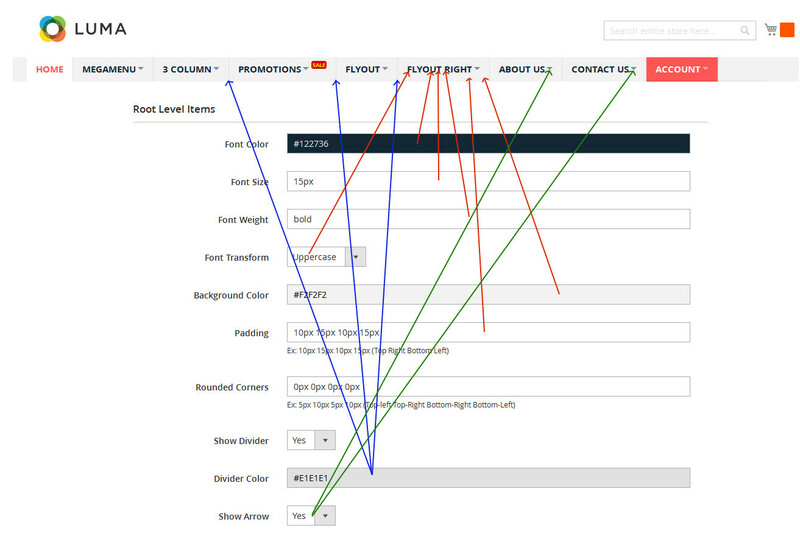 Supports Smart Expand, Always Expand and list items submenu styles. Easily add, edit, and delete menu/submenu items without editing CSS file. Drag to re-order menu links in all groups. Add icons/thumbnail images to menu items. 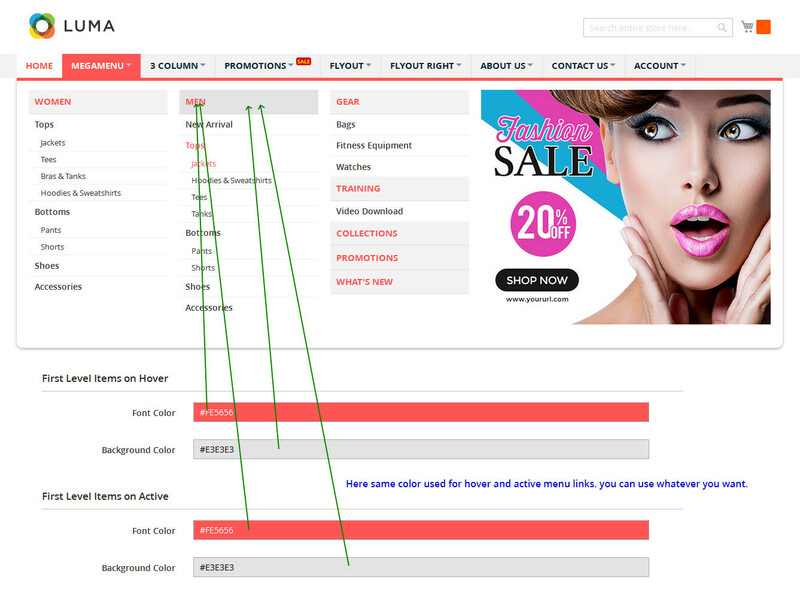 Customize menu height, width, font size, font color, etc. 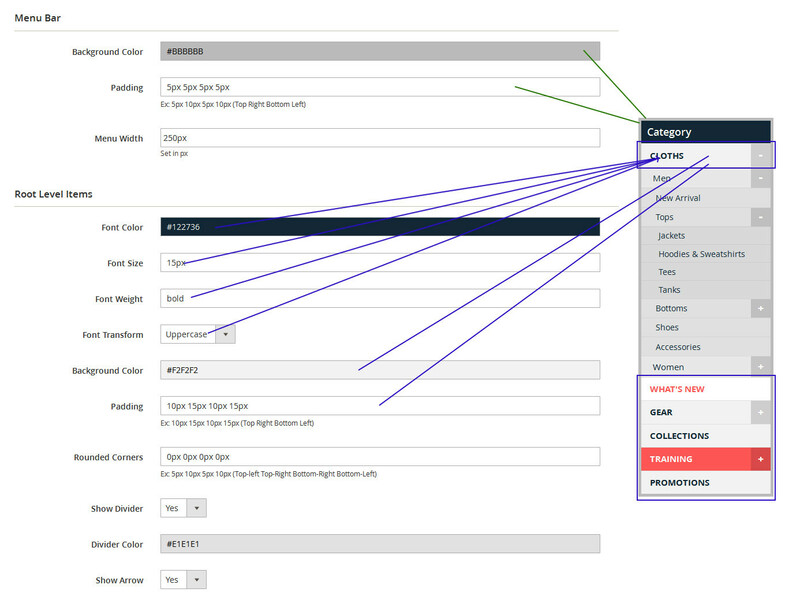 Supports dynamic items such as Category, CMS Page, CMS Static Block, Product Page, Custom URL, etc. Shows label to highlight menu item that you want such as Hot, Sale, 40% OFF, etc. Set permission for customer groups. Publish Static HTML menu for decreasing page loading time. Set submenu item levels upto 5. Supports upto 8 column options in megamenu. 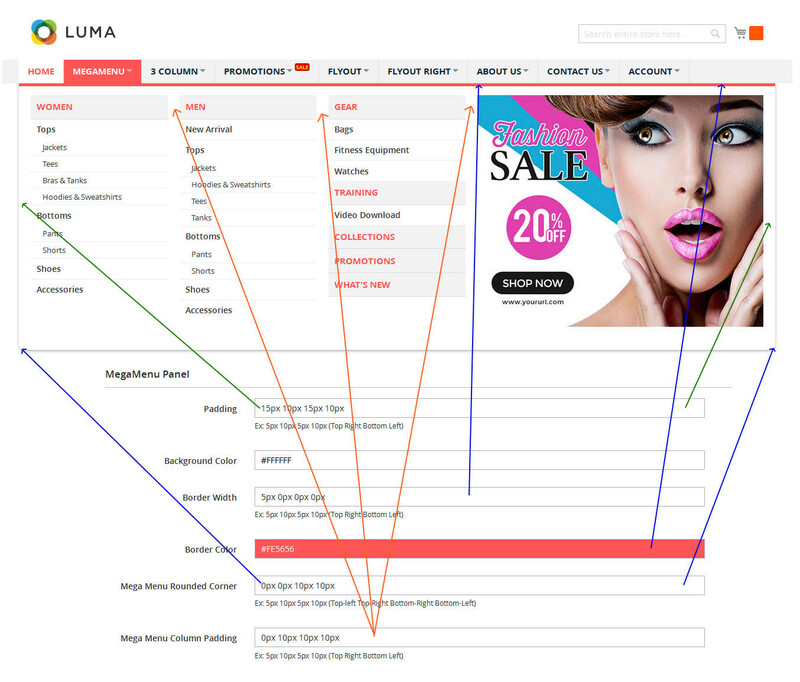 Supports multi-website and multi-store model. 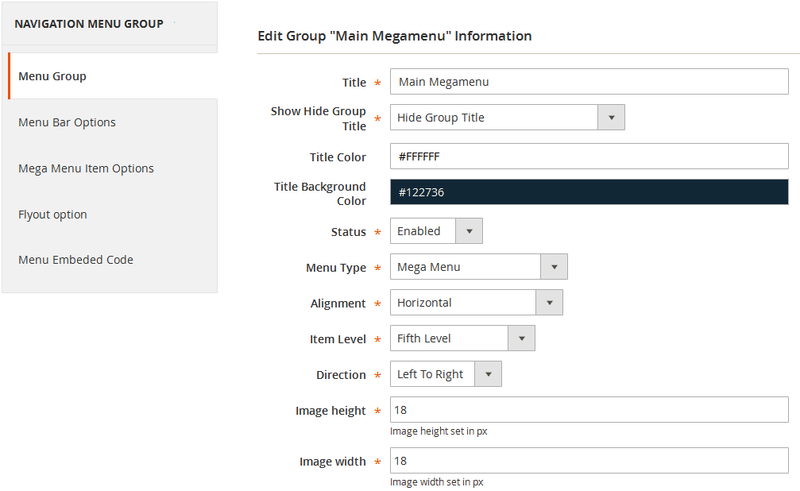 When it comes to organizing the menu and making navigation quick and easy, trust Magento 2 Mega Menu extension. The responsive navigation menu extension allows you to truly customize the menu and submenu items according to your choice. Choose different menu styles, customize the menu features and add thumbnail images to make the menu attractive and useful. 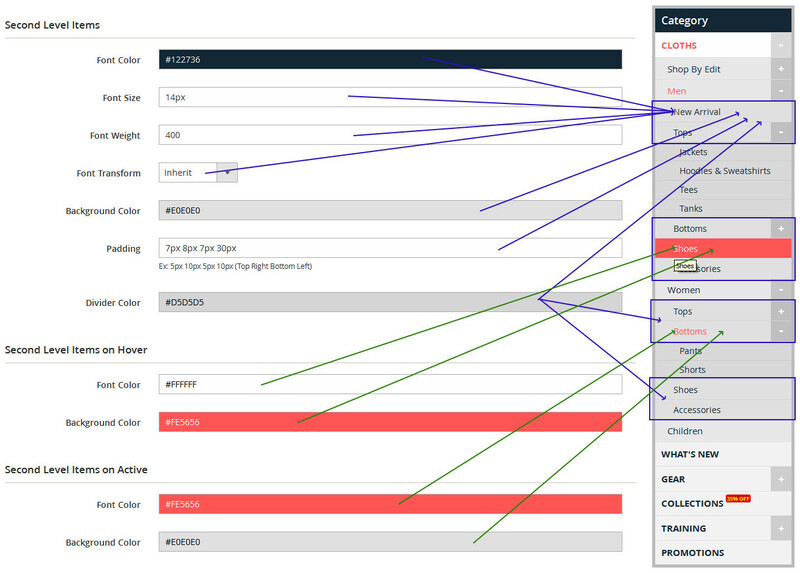 You can create unlimited menus to control each section of navigation (i.e. 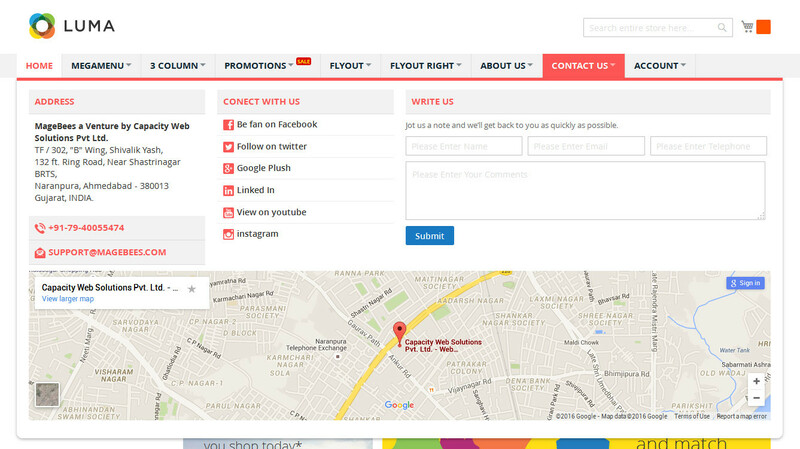 Horizontal Top Navigation Menu, Left Navigation Menu, Footer Navigation menu, etc.) with our easy to use Menu Groups feature. Manage style for each menu group (i.e. Menu Bar Options, Mega Menu Item Options, Fly-out Options, Submenu item options, etc.) It will eliminate the need to edit the CSS (Cascading Style Sheet) file. 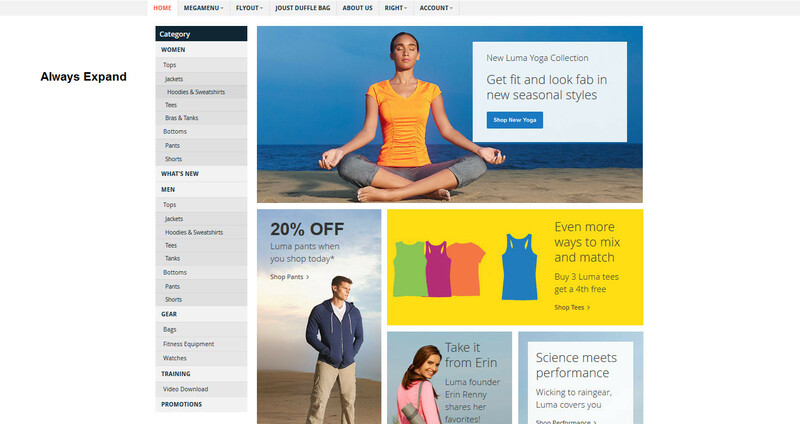 Our Magento Mega Menu extension is 100% mobile responsive. It is tested with all modern browsers and mobile devices. Use Menu Item's Advance Options to control User Access Permission for various customer groups (Registered, Not Logged In, General, Wholesale, Retailer). Make your Magento store faster by using Super Cache feature. It will generate/publish static html menu code, bypassing the interaction with database on every page load, thus making your website faster. 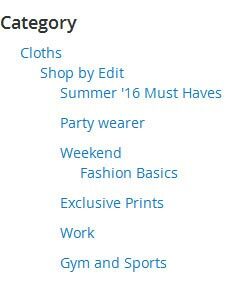 Easy option to show category images along with category link. You can also use custom image for Main/Root level category. Apart from this, you can add icons/images for menu items and control their height/width within configuration set up. Organise submenus in groups using menu item group type. 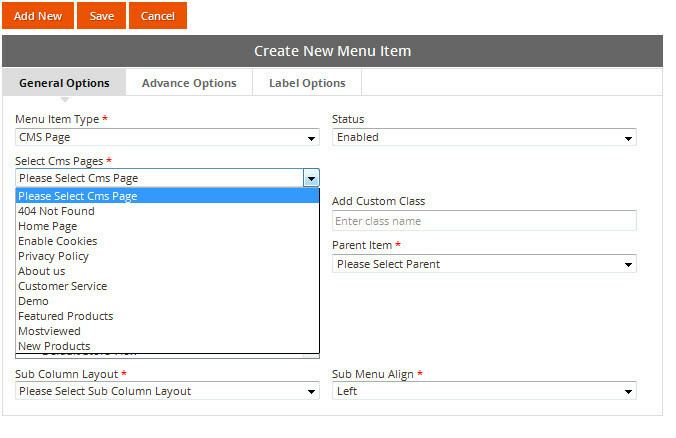 It will show specific menu items within single column layout. Use menu items label options to assign label to a menu item. 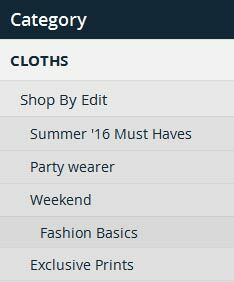 It is easier to highlight menu item (categories/products) using this feature. You can also edit the background and title text color along with label font size. 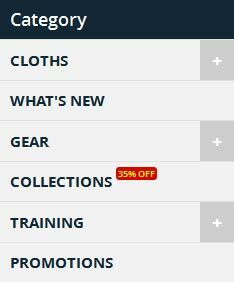 Our extension allows you to show maximum 5 levels of category in the menu. Our mega menu extension supports right to left languages. What are the Different Menu Types supported by the Extension? 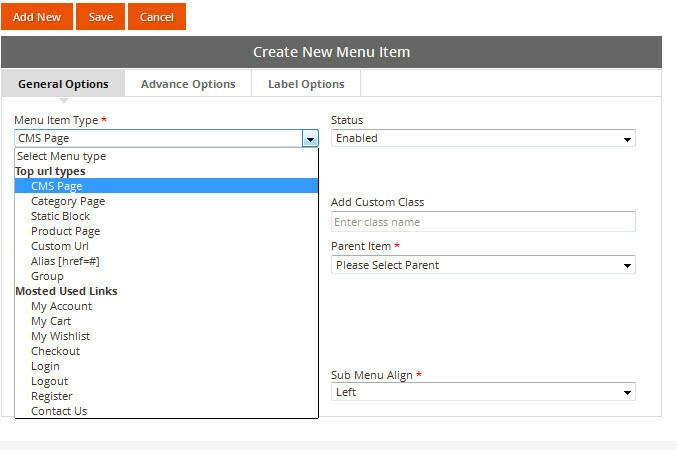 Style Menu items within each group: Manage style for each menu group (i.e. Menu Bar Options, Mega Menu Item Options, Fly-out Options, Sub Menu Item Options). Option to show images/icons along with category link. 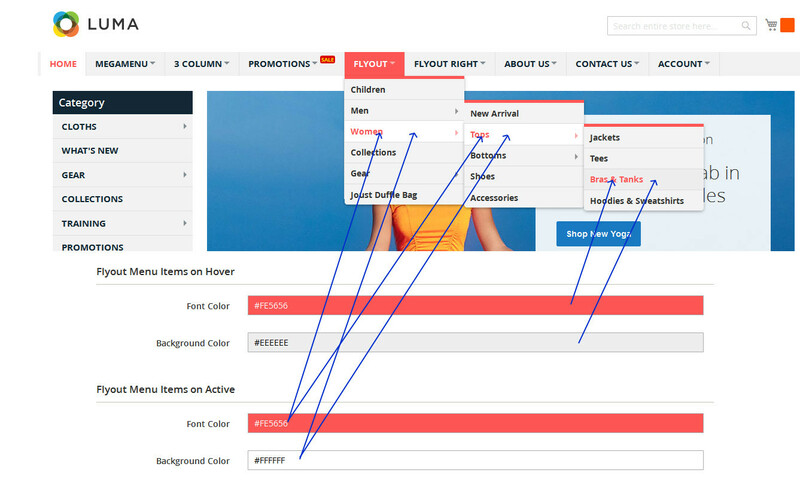 Static block to show static block or to show product listing using widget or to show form/map within mega menu. Custom URL - It can be used to create external link. Group - This is to arrange menu item within column layout. For e.g. Hot, Sale, 40% Off, etc. 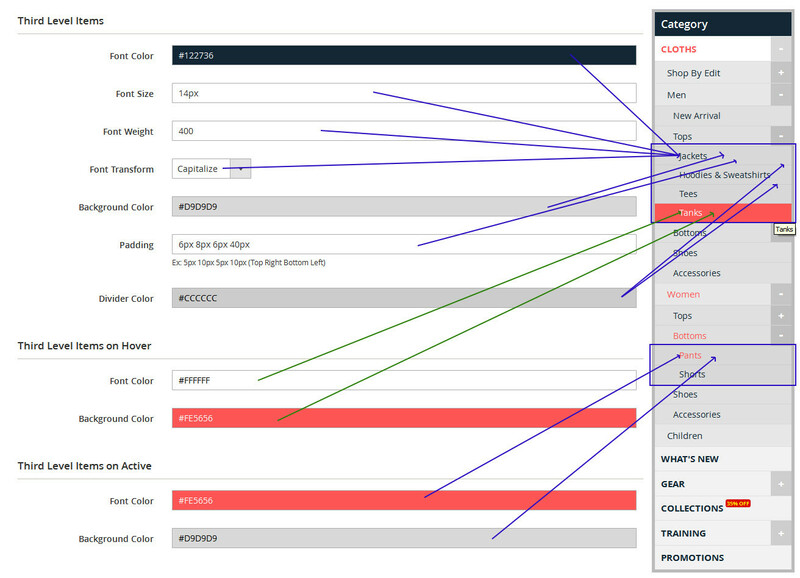 Manage label background color/font size/text color, etc. User Access Permission for various customer groups (Registered, Not Logged In, General Wholesale, Retailer). When I say it is the best, I am not saying because I am a loyal customer of MageBees. But, truly, the Mega Menu extension offers so many customization options that you will definitely fall in love with it. Organizing menu was never this easier. Now, changing top-menu and restructuring navigation is a piece of cake. That being said, I am very happy with the service from MageBees. Great work guys, keep it up. The Mega Menu extension is nothing short of a miracle. It has helped me improve the navigation structure of the website. I am able to re-order the menu quickly. Also, I highlight certain sub-menu items to emphasize on limited-time sales that we run on our store. Sales have improved. Also, my life is easier. Glad that I chose MageBees for buying Mega Menu extension. I am now able to organize the menu quickly. It has improved website navigation phenomenally. I have a website with more than 10000 products. And, this extension helped me manage the product categories flawlessly. 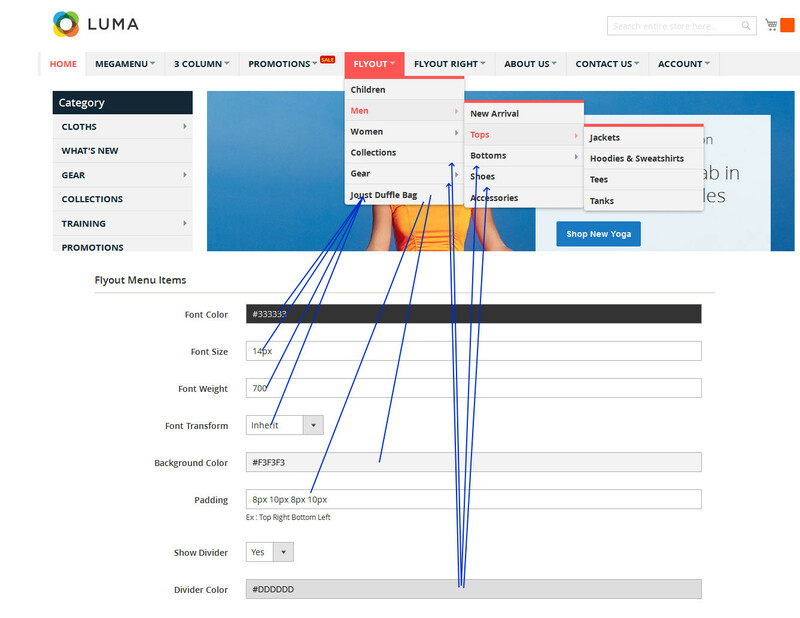 Easy customization makes it a perfect tool for organizing the navigation menu of the website. I recommend the extension for one more reason: support service. MageBees offers total support to help you make optimum use of the extension. I had a few doubts with the installation but their support team provided clear, precise solutions. It made my work easy. Highly recommended with functions exactly as described and also beyond. Types of Mega Menu satisfies all my requirements. This extension is very good and the support team gives you excellent support when you need it. Fix Smart Expand Layout Issue In Mobile View. Q-1: I have Installed Mega Menu Extension. I got the following error. “There has been an error processing your request”. “Please upgrade your database: Run bin/magento setup:upgrade”. Ans : Run “php bin/magento setup:upgrade” command to your terminal or command prompt. Please see the installation steps. Q-2: I have installed Mega Menu Extension. 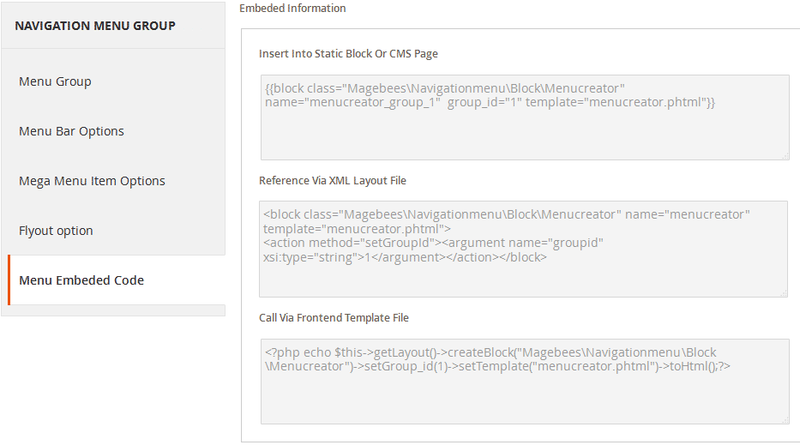 But when I open the admin panel, I get “Specified invalid parent id (Magebees_Menu:title)” error. Ans : Please enable Magebees_Menu module by run “php bin/magento module:enable Magebees_Menu” from command prompt in magento root directory. Q-3: How to display Menu on the Front-end? 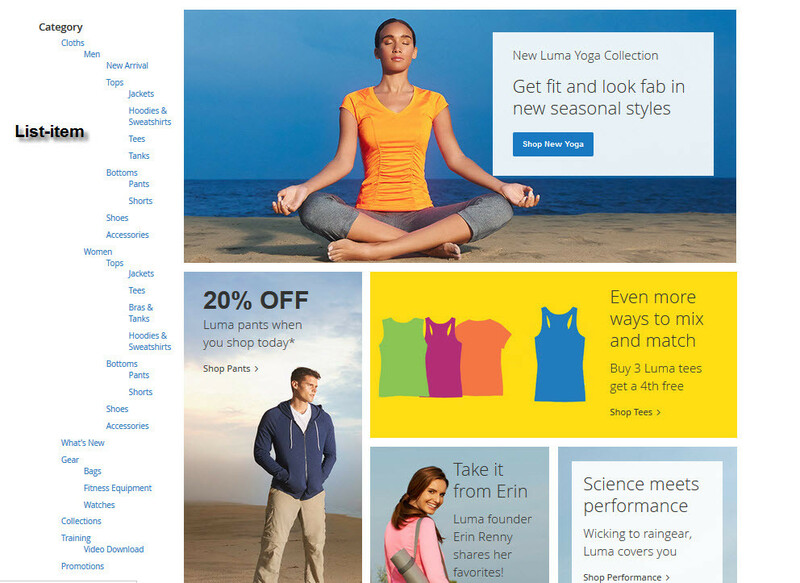 Q-4: How to replace Magento top menu with the Mega Menu? Open the given file. <Root Directory>\vendor\ magento\ <YOUR THEME FOLDER> Magento_Theme\ templates\ html\ topmenu.phtml file. 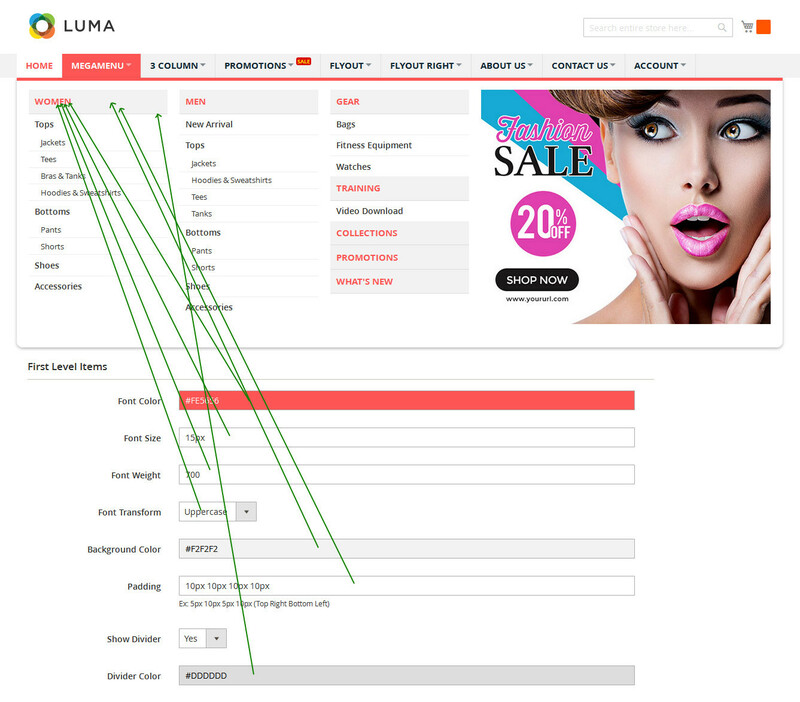 Comment or remove default magento top menu code and put our menu embedded code as display on the above screen shot. Here group_id=1; so we need to change the group id when you use this code to display menu in the front. 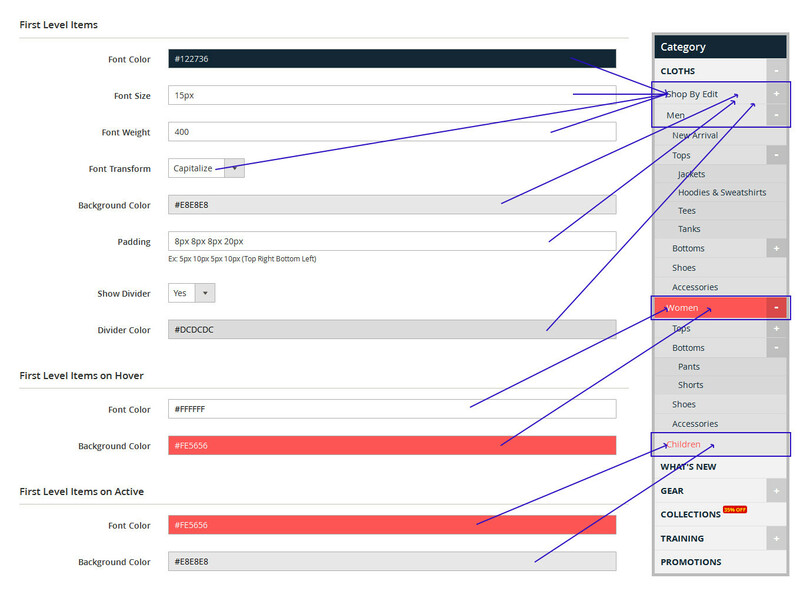 Q-5: Why are auto show subcategories not working in the menu? Ans : Make sure that all the assigned subcategories are activated, and select YES in “Include in Navigation Menu” option. 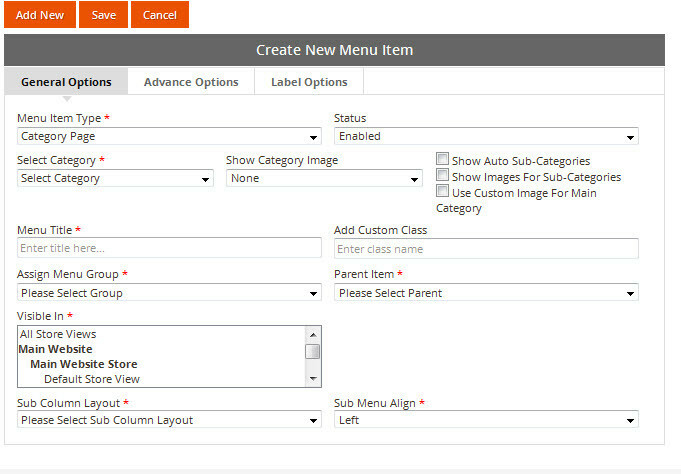 Q-6: Any change such as add, edit, add-sub, delete menu-items or change in the menu group is not displayed in the front? Check Developer Mode is set as “No” then click on the “PUBLISH” button for display new changes on frontend. If developer mode is set as “Yes” and still new changes are not displayed on the frontend then Refresh magento cache From System -> Tools -> Cache Management.